Note: This page is for the parents of BOHS Choir members to post and share photos of choir events. This site is in no way associated with Brea Olinda High School. Brea Olinda Choir is like no other show choir in Southern California. We have an award winning choir of over 120 students and four competing choirs ~ Masquerade, Spellbound, Tiffany’s and Thundercats. 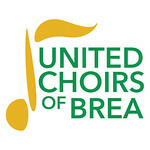 The Brea Olinda Choir is led by our director Alex Willert and our choreographer is Doug Kuhl. Brea Olinda Choir has one purpose and that is to entertain. We put 110% into every show. Our shows are very “eye-catching” and certainly stand out from the others with a Broadway flare in every show. The creative costumes, brilliant choreography, and talented and energetic performers bring excitement and joy to all audiences. Audiences enjoy performances that are “mini” Broadway shows and over the years Brea Olinda has made a name for itself receiving multiple first place finishes and many “sweeps” but the most important sign of success is the joy that the performers have in presenting a show. Many former students are still performing today in various venues including Disneyland and in music and performing groups in their chosen colleges. Brea Olinda Choir will never disappoint and although they may not always win a competition they are always number one in our hearts!! !